Get advance notice of new issues, complete photo sets from all our feature homes to add to your social media scrapbooks, exclusive decorating and design advice from our editors and design pros, local design events and more. 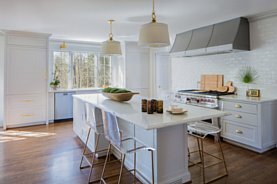 A gifted local designer beckons tradition and character for a kitchen update using present-day upgrades anchored in the past. Wagoner is known for addressing the bones of each space she designs, saying she feels “the most essential element to any design is a classic foundation”. Her latest project does just that. When a Raleigh couple came to the realization that they had outgrown their kitchen, they put necessity into action and assembled a team to update the hub of their home. “Before the renovation, the house was close to perfect...gorgeous moldings, original character, hardwood floors, a perfect location, the list goes on. But the homeowners were limited by a small kitchen that prevented them from interacting with family and friends on a daily basis. The homeowner wanted to increase counter space where her children could do their homework or make Christmas cookies while she cooked. She wanted to create a gathering space that was lacking in the original house. The kitchen renovation was the final step in making this family’s house the perfect home,” says Wagoner. Located in the heart of Raleigh’s alluring Budleigh neighborhood, the home was originally built in 1939 by the first homeowner himself. The current homeowners are just the third family to live there. Factoring in the new kitchen space, the home now totals around 4,000 square feet. The challenge with this renovation lay within the duality of accommodating a modern lifestyle while at the same time, maintaining the original character of a traditional home. An open-concept floor plan, which combines the kitchen and adjacent living area into a single space, was not an option for this house. “A home built in the 30s would not have had an open-concept floor plan. We wanted to increase living space for the homeowners but consciously defined each room with cased openings to preserve the integrity of a traditional floor plan,” Wagoner says. While Anne conceptualized the overall design for the project, builder Sam Barrow, of Barrow Building, was an integral part of both the vision and execution of the renovation. A dated screened porch was transformed into an updated and now enclosed extension of the remodeled kitchen. New custom cabinetry, appliances and hardwood floors were installed. “The goal was to seamlessly blend the new space with the old as if it had always been a part of the home, but to create functionality for a busy family of five,” Barrow says. 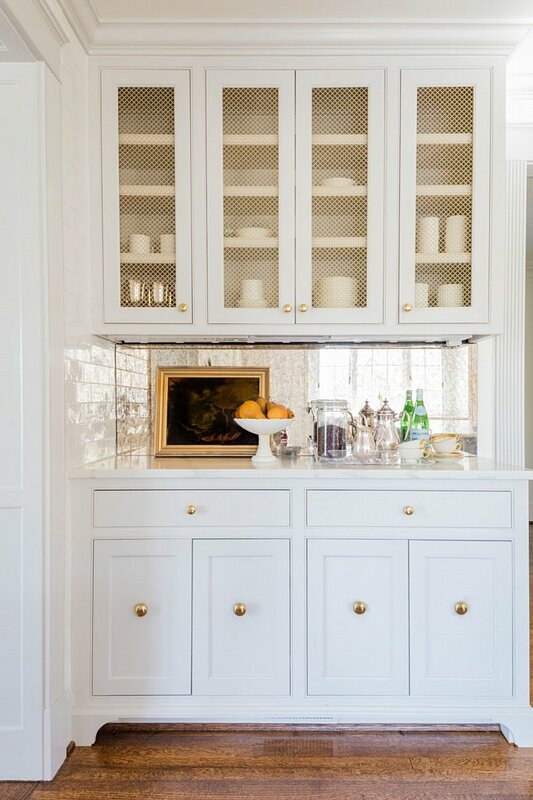 Wagoner says she encouraged the homeowners to go with a European style for the kitchen, adding touches like a La Cornue-inspired range hood that was custom-built by local blacksmith, Lucas House, of IronHouse Forge.